On Saturday, March 25, 2017, we flew from San Cristobal island in the Galapagos to Bogotá, Colombia. After the remoteness of the Galapagos Islands, we took the opportunity returning to major world cities to enjoy a little more comfort. We had comfortable rental apartments (incredibly affordable thanks to the affordability of Colombia in general), prepared ourselves some home-cooked dinners, and took it easy on the tourism front. 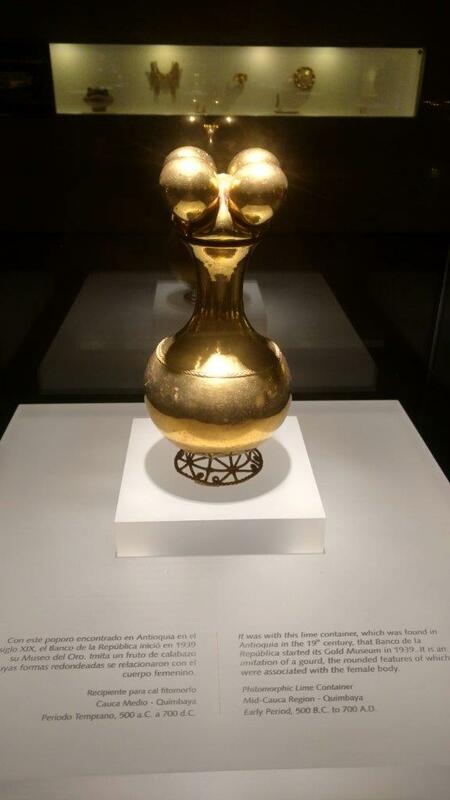 While in Bogotá, we took a couple expeditions to the national bank’s “Gold” Museum and the nearby Botero Museum. 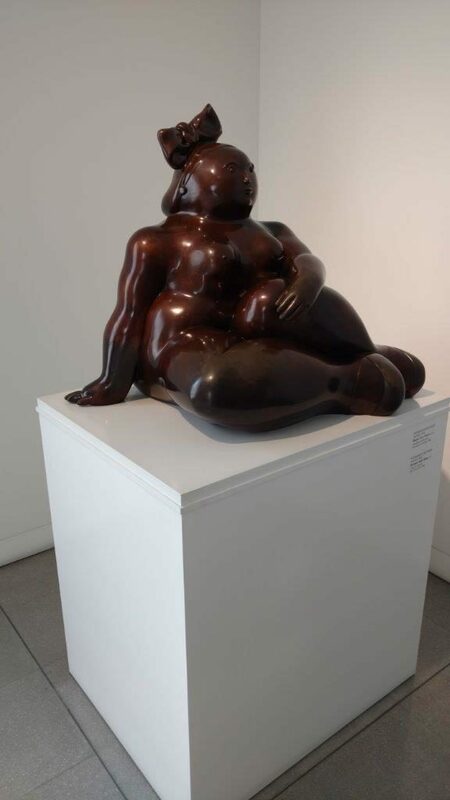 Fernando Botero, if you don’t know, is a famous Colombian artist known for exaggerated and bulbous human (and other) forms. 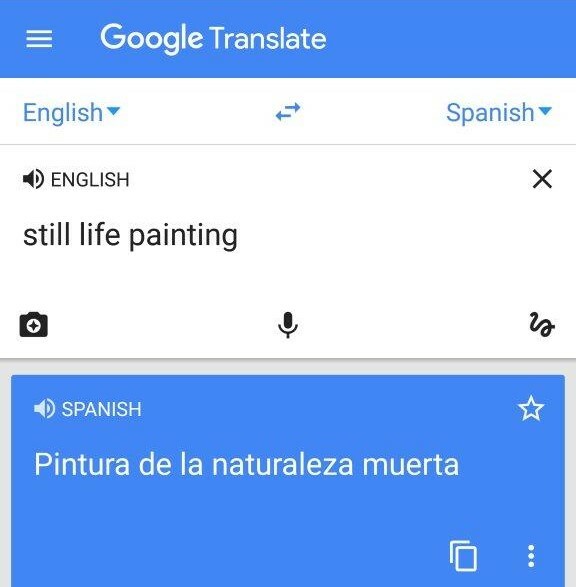 Oh, this explains why I thought so many paintings were called “natural death.” They were all just still lifes! 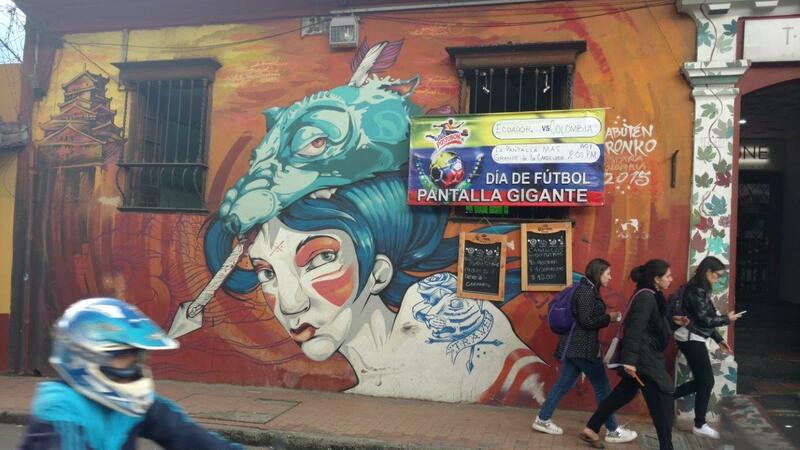 Our other major activity in Bogotá was a “graffiti tour,” organized by a small local company to show off the burgeoning street art scene in the city. Graffiti / street art is a polarizing subject, given that at its heart, it’s often what people would classify as vandalism. 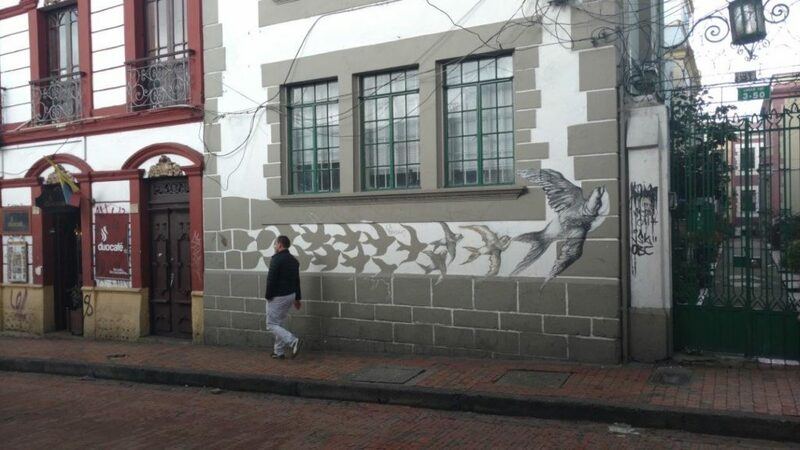 However, a large and growing group are now getting commissions to decorate unused buildings, or frequently asking permission if they might cover unused walls with large art works. 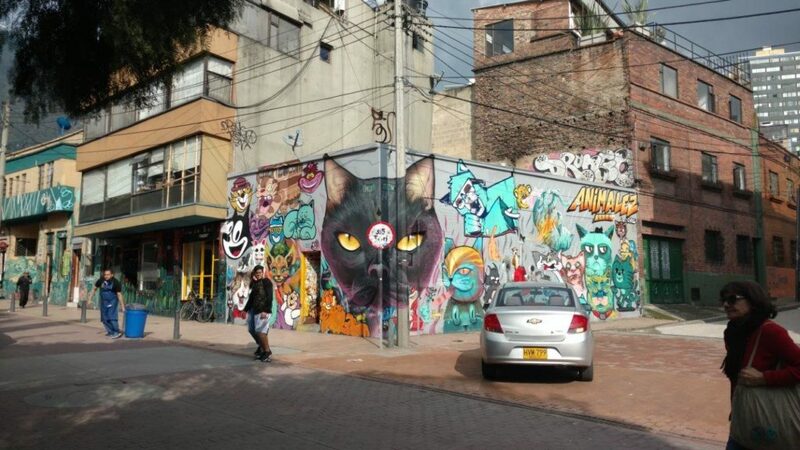 The street art / graffiti in Bogotá was really incredible. These locals seem completely used to it, though. 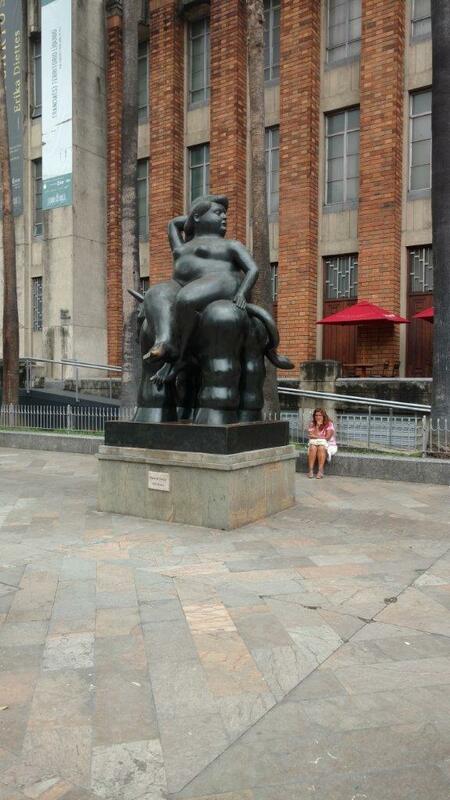 Not graffiti or “street art”: A few of these sculptures tower over local areas in Bogotá. 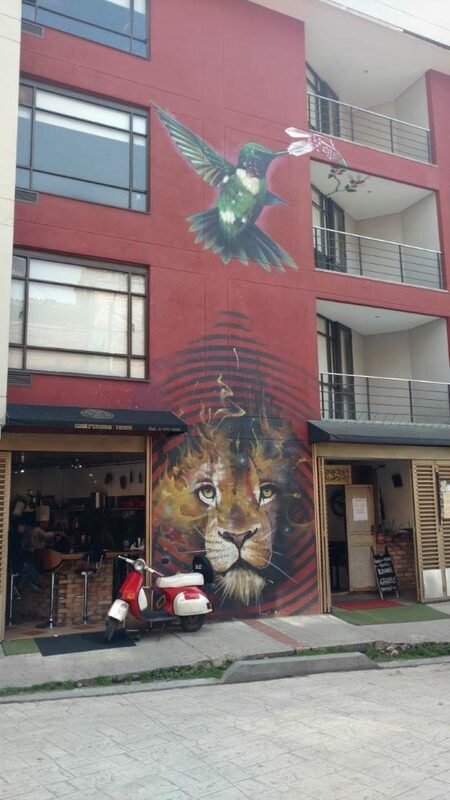 Note how one apartment owner in particular let an artist up to finish a large-scale piece. This light pole and a stop sign posed no problem at all for one particular artist. From Bogotá, we took a short flight to nearby Medellín. 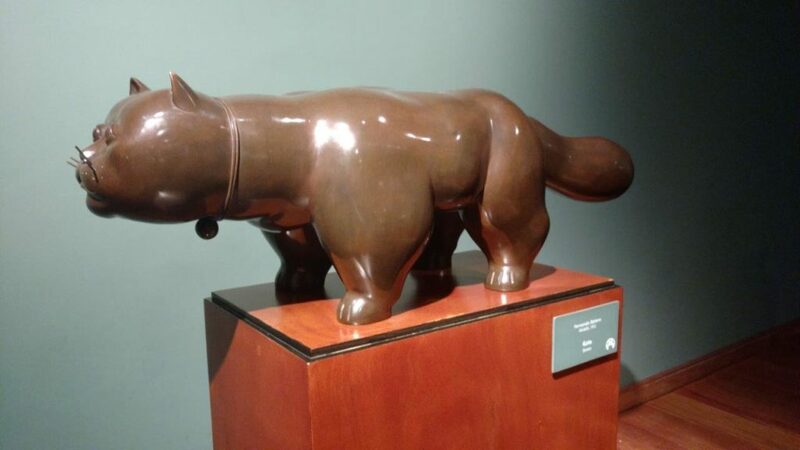 As Botero’s hometown, we found ourselves with a second Botero museum to visit, and it was incredible. All the Colombians we met were so friendly and welcoming; we had a really great time. 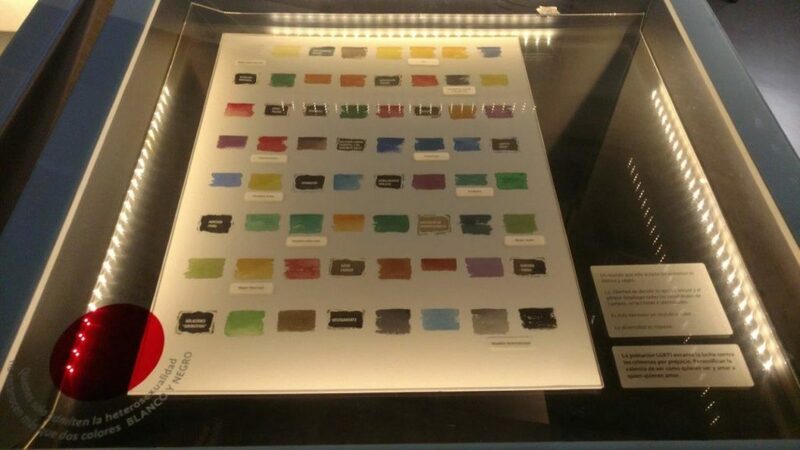 We don’t have a ton of pictures aside from a few shots from the museums we visited; we were too busy relaxing and recovering from our prior destinations! 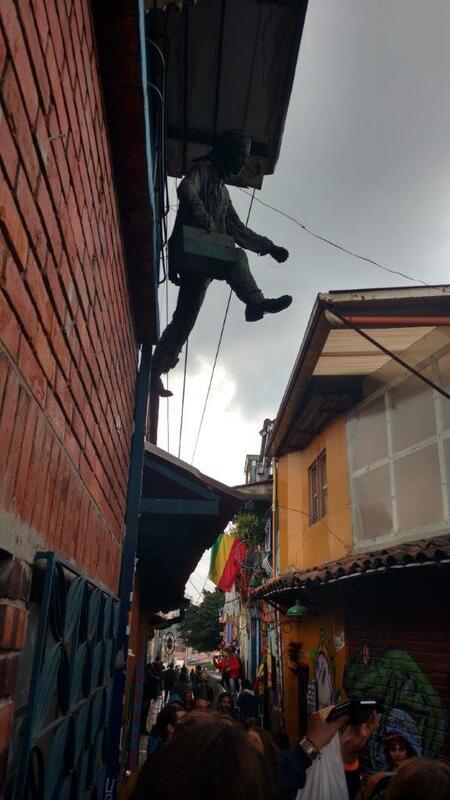 What a great time; we can heartily recommend Colombia for a visit if you’re thinking about it.